The president of the Arctic Winter Games International Committee John Flynn, the technical director of the organization Ian Legaree and its secretary Lloyd Bentz will arrive to Salekhard at the end of March. The request of Yamal for conducting of the Arctic Winter Games not earlier than 2026 in Salekhard became the reason for their arrival. The representatives of the International committee will study potential of the regional capital on organizing of the international competitions in order to prepare the summary report for countries-participants and their political leaders. The decision about the opportunity to include Yamal to the schedule of conducting of the Arctic Winter Games will be taken in spring of 2020, by the results of the visit, as the press-service of the governor of Yamal informs. “According to the Charter, the Arctic Winter Games can be held only in the USA, Canada and Denmark (Greenland) — the countries, on the initiative of which the games were created”, commented the deputy governor of Yamal-Nenets Autonomous Okrug, the director of the department of external relations Alexander Mazharov. “The games were not held either in Scandinavia or in Russia. The fact that our application is officially accepted by the International Committee is a great success. We are a guest team at the games. We always fulfilled all the requirements and terms of the organizing committee. Our sportspeople and coaching staff have proven themselves from the best side. By their example the representatives of Yamal have shown that they have the right to host the games. The international committee met us halfway and accepted the application”. The Arctic Winter Games have been organized every two years since 1970. They are attended by representatives of the circumpolar region. The competitions contribute to development of sport in regions of the participating countries, acquaintance with culture and traditions of peoples of the Arctic. In March 2014, within the games in Alaska, Yamal offered to hold the competitions on its territory and received support of the Arctic Winter Games International Committee and the Ministry of foreign affairs of the Russian Federation. In July 2017 the region sent the preliminary application, which presented sports infrastructure, cultural objects and educational institutions of Salekhard and Labytnangi as promising venues for organizing of the games. During 2018 the department of external relations conducted systematic work with members of the International Committee to clarify a number of fundamental issues that are decisive for approval of the initiative of the region not only by this organization, but also by the political leaders of the participants — permanent members of the games. The visit of the representatives of the Arctic Winter Games International Committee is continuation of the dialogue on this issue. As we should remind, for the first time sportspeople of Yamal were invited to the Arctic Winter Games in 1992 as part of the team of Tyumen Oblast. Since 2004 Yamal has participated as an independent team. Since 2006 sportspeople of Yamal have been the only representatives of Russia at these international competitions. Over the years 359 sportspeople participated in the games; they won 587 medals, almost 50% of which are golden. Among them there are such famous sportspeople of Yamal as Albina Akhatova, Yulia Makarova, Anna Sorokina, Rodion Taligin, Larisa Kuklina, Kristina Ilchenko, Elena Badanina. Since 2012 the team of the region has performed in the maximum staff allowed for guest teams — 100 people. The 50th anniversary of the first games will be celebrated in 2020. The festive events will be held in Canada. 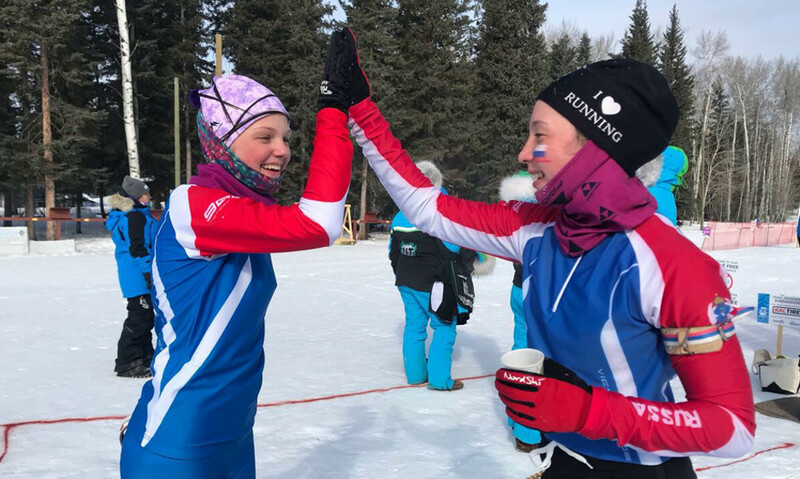 The sports program of the national team of the region will include such sports as the arctic all-around, snowshoe running, biathlon on skis and snowshoes, ski race, table tennis, figure skating and futsal. Archery competitions are also planned for the first time in history of the games. Sportspeople of Yamal will participate in them.